One of the curses of winter for horse owners is that wet, muddy conditions and confinement can increase the risk of a horse picking up a thrush infection in his feet – most commonly the hind feet. Thrush is nasty and unmistakable. It manifests as a revoltingly smelly and slimy black discharge from the frog, which usually looks abnormal with rubbery flaps and an irregular shape. Those smelly feet are a sign of a degenerative infection caused by several bacteria and fungi – including the notorious Fusobacterium necrophorum, which is the organism that causes sheep foot rot. Rot is exactly what is happening when your horse contracts Thrush, and if it isn’t stopped in its tracks in a hurry the bacteria will eat away the frog and move on to attack deeper tissues in the hoof, causing open sores and swelling of the lower leg. Once Thrush takes hold the horse will probably show signs of lameness and pain if pressure is exerted on the area around the frog. Traditionally most have believed that when a horse develops thrush it is a sign of bad stable management. It is true unhygienic conditions – a horse left standing for a long time on soiled, wet bedding or constantly turned out on marshy, muddy pasture trampled with manure, for example, will be in the ideal breeding ground for the bacteria that cause thrush. Some horses subjected to foul, dirty conditions though avoid thrush – others in perfectly clean conditions can get it. So susceptibility plays a role. There are other reasons for horses contracting thrush too. These include a poor foot conformation, particularly if the foot has a small, narrow frog with the central groove compressed or some other foot deformity that allows dirt and bacteria to enter. A lack of picking out the hoofs and cleaning the feet can also contribute to thrush infections. Basically any conditions that can damage the frog and allow dirt and moisture to collect in and around it can fester into thrush. Treatment of thrush is a specialised job that needs to be done by a vet or farrier. The damaged tissue will have to be scraped away, probably more than once during the course of treatment, and then frequently treated with an antibiotic solution, an astringent wash and iodine. Most important is to keep the affected hoof as dry, clean and aerated as possible, so a pristine stable with dry bedding is essential, and turned out horses should only be let loose on well-drained pasture. Oxygen kills the bacteria. 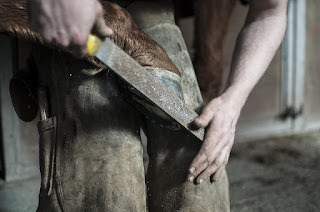 As the condition improves keep the foot clean and use a hoof pick regularly. happen again. 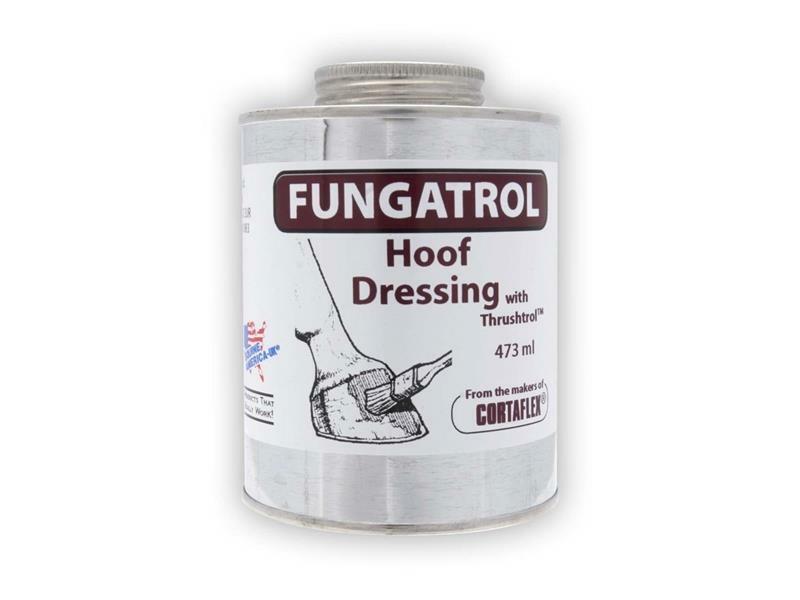 If your horse is susceptible to bouts of thrush make sure you treat the feet regularly with a commercial anti-fungal hoof dressing and/or a barrier fungicidal oil. Because the offending bacteria congregate in cracks and fissures, make sure you get any treatment solution into all the crevices. Thrush is not life-threatening for your horse, but untreated thrush infections can have severe consequences for the hoof as a whole. Like most equine conditions, prevention is better than cure – and good management is the best prevention tool. 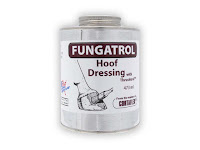 KEEP HOOVES HEALTHY WITH OUR RANGE OF HOOF HEALTH PRODUCTS.